Walking into The Blind Pig is like walking into a classic British pub: lowly lite, dark wood, cozy bar and booth seating, no T.V.s, and faint background of music. It’s not just an aesthetic feeling, but it’s also the friendly, welcoming environment with returning and new customers. This is what owner and founder Dr Chris Knight wanted. Chris came to Champaign-Urbana in 1984 to join the Department of Chemistry at the U of I. Originally from England, Champaign-Urbana wasn’t what Chris thought it would be. There wasn’t a lot in downtown Champaign and he couldn’t get a decent pint of beer, so he dubbed Champaign-Urbana's slogan “nothing to do but drink.” Naturally he decided to open his first bar, called The Blind Pig, in 1990 and it quickly became known for its live music, featuring international and well-known bands. Despite the success, it was a lot of work to put on live music 5 nights a week and Chris eventually sold the bar, after nearly 10 years in business. 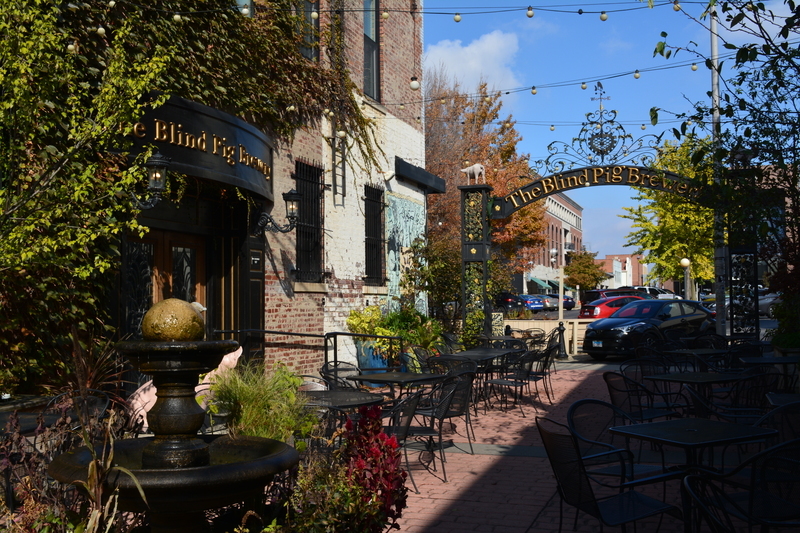 He opened a new Blind Pig location at 120 N. Walnut Street, now known as the “Big Pig.” Using reclaimed doors from a local church, Chris created a British pub in the American midwest. He turned the doors upside down so that the engraved crosses weren’t staring people in the face while they drank a pint. Chris realized that Champaign was the perfect place for a brewery because it has the best tasting water from the Mahomet Aquifer, and a lot of cosmopolitan beer drinking residents. Chris had one problem though; he was a lousy brewer. Luckily, he found experienced brewer Bill Morgan in 2003 and began planning to open Champaign’s first brewery. 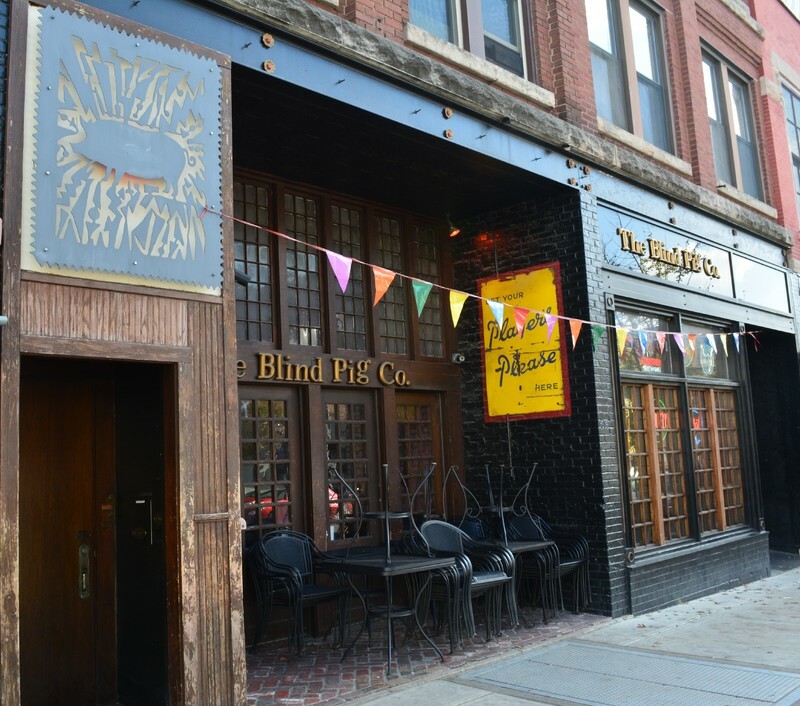 In 2009, the Blind Pig Brewery opened at 120 N. Neil Street (known locally as the Piglet, or Little Pig). The Piglet houses a small brewery which directly supplies 6 of the 14 beer taps on site. Attached to the Piglet is another Blind Pig location, commonly referred to as the “Dandy Pig" because it was formerly a store called Dandylion. 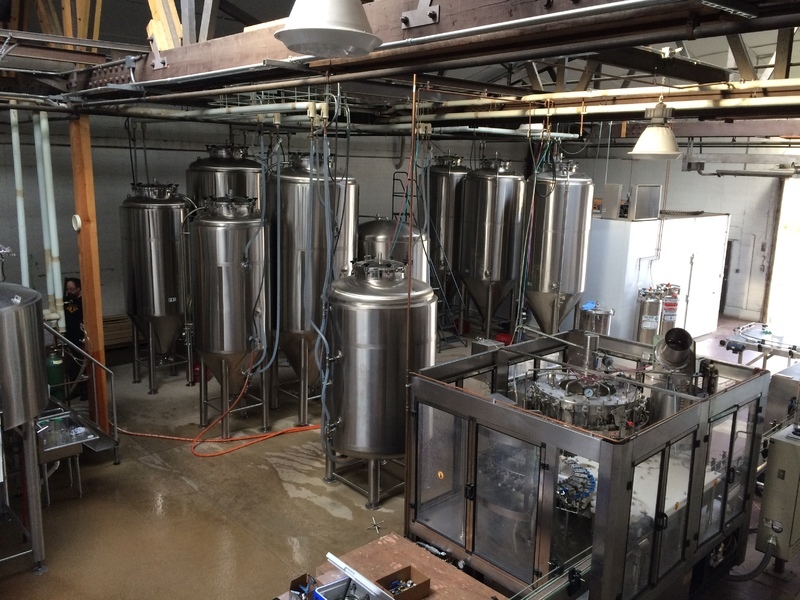 The last addition to the Blind Pig family (for now) is The Blind Pig Brewery warehouse at 505 N. Market St where they make, keg, bottle and ship their beers. The Blind Pig brewmasters have total independence and are responsible for all the beer creations. 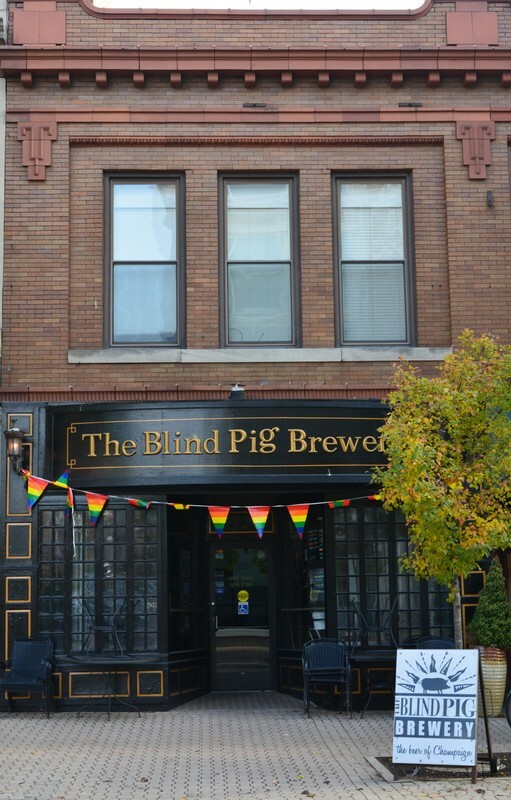 You can thank them for the Blind Pigs most popular beers: The U of IPA, Columbia St Coffee Stout, Raspberry Wheat, and Blue Pils. Dandy Pig Courtyard: Dandy Pig Courtyard towards Taylor Street in downtown Champaign. ~ Creator: Chrissy O'Grady ~ Date: Saturday, October 27, 2018 at 11:30 am. Front of Big Pig: Front of Big Pig, the first location on N Walnut Street. ~ Creator: Chrissy O'Grady ~ Date: Saturday, October 27, 2018 at 11:30 am. Front of the Dandy Pig: Front of the Dandy Pig on Taylor Street with courtyard. ~ Creator: Chrissy O'Grady ~ Date: Saturday, October 27, 2018 at 11:30 am. Front of the Little Pig on N Neil Street. : Front of the Little Pig on N Neil Street. On-site brewery can be seen in the front windows. ~ Creator: Chrissy O'Grady ~ Date: Saturday, October 27, 2018 at 11:30 am. Inside the Blind Pig Brewery Warehouse: Inside the Blind Pig Brewery Warehouse on N. Market Street where majority of brewing, bottling and kegging occurs. ~ Creator: Chrissy O'Grady ~ Date: Wednesday, April 25, 2018 at 6:00 pm. 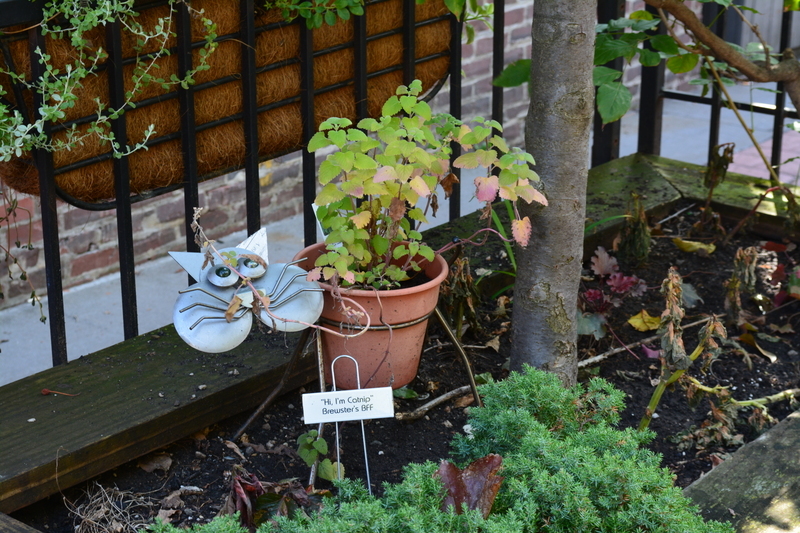 Catnip in courtyard of the Dandy Pig : Catnip in courtyard of the Dandy Pig for Brewester the brew cat. ~ Creator: Chrissy O'Grady ~ Date: Saturday, October 27, 2018 at 11:30 am. 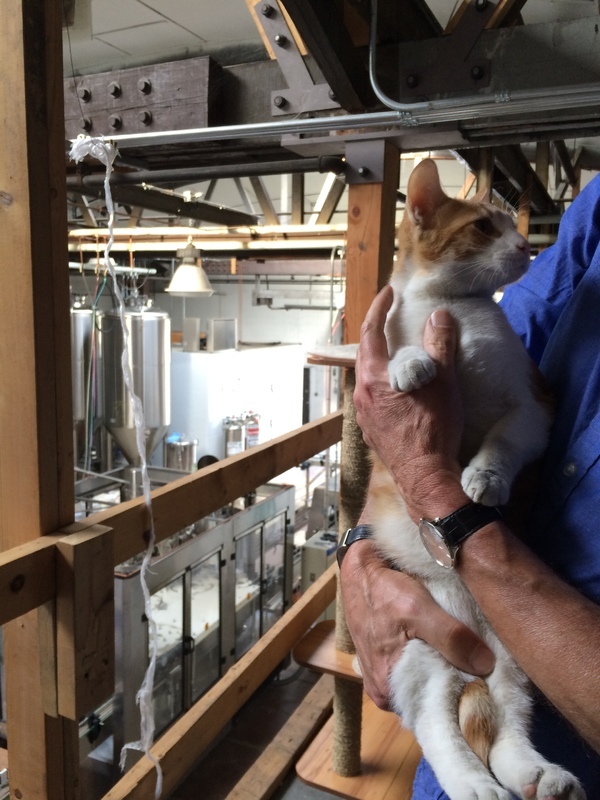 Brewester the Brew Cat: Brewester the brew cat in the Blind Pig Brewery Warehouse being held by Blind Pig owner Chris. ~ Creator: Chrissy O'Grady ~ Date: Wednesday, April 25, 2018 at 6:00 pm. 120 N. Neil Street, Champaign, IL 61820 ~ Located in Downtown Champaign. ,” ExploreCU, accessed April 18, 2019, https://explorecu.org/items/show/422. Blind Pig Brewery. Interview by Chrissy O’Grady, 2018. “Cat - The Blind Pig Brewery.” The Blind Pig Brewery. Accessed November 5, 2018. https://www.blindpigco.com/copy-of-brewery. Curthoys, Nathaniel. “A Walk through the New Blind Pig Brew House.” Smile Politely. Accessed November 5, 2018. http://www.smilepolitely.com/food/a_walk_through_the_new_blind_pig_brew_house/. Jackson, Marcus. “What’s in a Name?” News-Gazette. Accessed November 5, 2018. http://www.news-gazette.com/news/local/2016-02-26/whats-name-blind-pig.html. 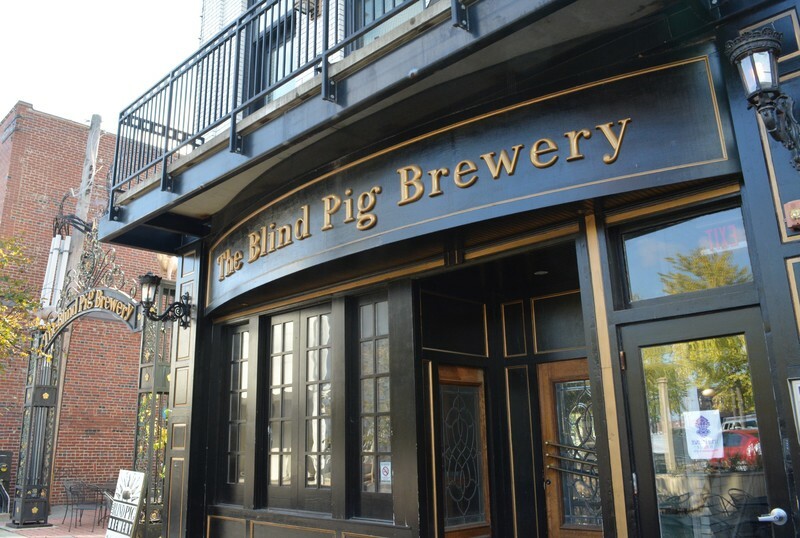 “Our Story - The Blind Pig Brewery.” The Blind Pig Brewery. Accessed November 5, 2018. https://www.blindpigco.com/our_story.